What does it mean that Mary was a virgin “during” the birth of Jesus? Is this something we are required to believe? That Mary remained a virgin during the birth of Jesus is an aspect of her perpetual virginity that you don’t hear a lot about nowadays. But, it is just as important as our belief that Mary was a virgin before the conception of Christ and that she remained a virgin forever after He was born. When we say that Mary remained a virgin even during the birth of Christ, we mean that there was nothing about the birthing process that caused her pain or that violated her bodily, virginal integrity. Amazing things happen to a woman’s body during the birthing process. In a sense, she is forever changed, at a physical level, once this birth has taken place. Mary’s experience of this was different and miraculous. Her body didn’t undergo these changes typically caused by the birthing process. She did not even experience any pain! Why does all this matter? Well, in the first place, it matters simply because it is true, and we want to affirm all that is true. But, beyond that, this type of radical virginity points to Mary as someone who made a complete and perfect offering of her entire self, even her body and her sexuality, to the Lord. This also highlights the fact that Mary’s son is no ordinary son. Both His conception in the womb of Mary and His coming into the world were of a miraculous nature because He is Himself a miracle: the Word of God made man. Dave Armstrong, a popular Catholic apologist, recently made a post on his blog about the omniscience of Jesus (the fact that he is all-knowing). Never caring too much for succinct titles, it is called: "Biblical Evidence for Jesus' Omniscience, by Cross-Referencing to Parallel Texts Describing the All-Knowing Attributes of God the Father". I highly suggest that you check it out. Dave makes a very convincing case here, yet when I shared this article with a skeptic recently, he attempted to deny Christ's omniscience by citing Mt 24:26, where Jesus says, "But of that day and hour no one knows, not even the angels of heaven, nor the Son, but the Father only." What should we make of this passage? Is there enough reason here to disregard everything else that is said about the omniscience of Jesus? I ask the skeptic, if Mt 24:36 means that Jesus is not all-knowing, how then did Jesus know what was in the hearts of men (cf. Mt 9:4; Mk 2:8; Lk 5:22; 9:47; Jn 2:25) and what their thoughts were (cf. Mt 12:25; Lk 6:8; Jn 6:64)? How was Jesus able to tell the Samaritan woman everything she ever did (cf. Jn 4:17-19, 29)? "How is it that this man has learning, when he has never studied?" (Jn 7:15). How is it that, when Jesus was just a boy, he was able to amaze the teachers in the Temple with his understanding and his answers (cf. Lk 2:46-47)? You can't just take one verse and disregard all the rest. You have to find a way to reconcile them all. Either Jesus "knows everything" (Jn 21:17) or He doesn't. Either He "searches mind and heart" (Rev 2:23) or He doesn't. Either "all the treasures of wisdom and knowledge" are hidden in Him (Col 2:2-3) or they aren't. You can't have it both ways. As I see it, the only way to reconcile Mt 24:36 (cf. Mk 13:32) with the rest of the biblical data regarding Jesus' omniscience is to say that this verse (and its parallel passage) are instances of hyperbole, in which Jesus is exaggerating for effect. And this makes perfect sense. Why? Mt 5:29 If your right eye causes you to sin, pluck it out and throw it away; it is better that you lose one of your members than that your whole body be thrown into hell. Mt 5:39-42 But I say to you, Do not resist one who is evil. But if any one strikes you on the right cheek, turn to him the other also; 40 and if any one would sue you and take your coat, let him have your cloak as well; 41 and if any one forces you to go one mile, go with him two miles. 42 Give to him who begs from you, and do not refuse him who would borrow from you. Mt 8:22 But Jesus said to him, "Follow me, and leave the dead to bury their own dead. Mt 19:24 Again I tell you, it is easier for a camel to go through the eye of a needle than for a rich man to enter the kingdom of God. Mt 23:24 You blind guides, straining out a gnat and swallowing a camel! Lk 9:25 For what does it profit a man if he gains the whole world and loses or forfeits himself? Lk 10:4 Carry no purse, no bag, no sandals; and salute no one on the road. Lk 14:26 If any one comes to me and does not hate his own father and mother and wife and children and brothers and sisters, yes, and even his own life, he cannot be my disciple. Jn 12:19 The Pharisees then said to one another, "You see that you can do nothing; look, the world has gone after him." This is just a sampling of what could be provided, but you get the idea. The important thing to remember is that it is an anachronism to expect Jesus to always speak as precisely as we expect people to speak today. In our modern, industrial age we don't seem to have time for flourishing, or exaggeration, or circumlocutions, or any of the other elaborate modes of speaking that Semitic peoples employ. We're concerned with being succinct and to the point and being efficient and getting things done. But the peoples of Jesus day had no such concern, and we have to keep that in mind when we interpret the sayings of Jesus. Secondly, it makes sense that Jesus would use hyperbole here because he is absolutely resolute in His desire that the crowd remain ignorant regarding the day and hour of the coming. It is not the will of God that they know this information. His silence is such that it is as if He did not know it. Jesus is communicating, in an exaggerated way, His utter inability to tell them what they want to hear. That said, the context of Mt 24:36 gives us every indication that Jesus DID in fact know the day and hour. After all, he knows EVERYTHING ELSE about what that day will be like, what horrors will come, what will portend the Tribulation and the Second Coming (see Mt 24 in full). It's nonsensical to think that He would know all this, and yet somehow not know the day when it will all take place. Don't forget, this is the same Person who created all things (cf. Psa 33:6; Jn 1:1-3, 10; Col 1:15-17; Heb 1:2; 3:3-4; 11:3) and who upholds the entire universe with his power (cf. Heb 1:3). 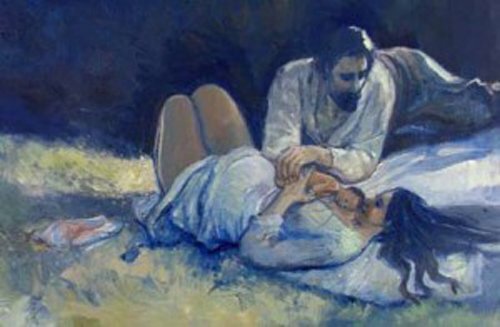 The Father "has given all things into his hand" (Jn 3:35). All authority in heaven and on earth has been given to him (cf. Mt 28:18). Jesus is the one who will be executing the Judgment on that day (cf. Jn 5:22, 26-27). I think He knows when the Second Coming will take place! He just can't tell us. At first, this information was included in my outline on the Ecclesial Method of catechesis, but it made the outline too cumbersome. As a result, I decided instead to devote a separate post to this topic. 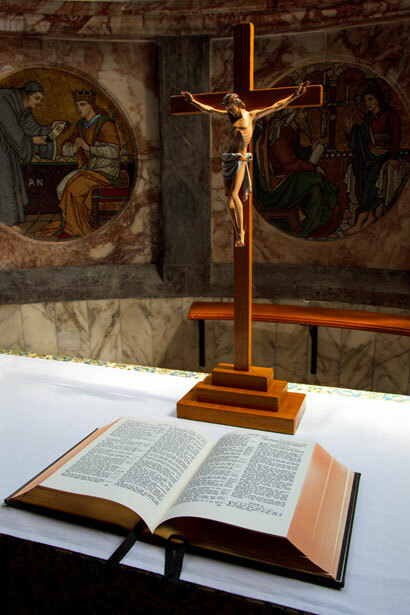 The crucifix should be the largest object on the table, so as to emphasize the singular importance of what Christ did for us. It is the crucifixion that makes every catechetical endeavor even possible. The Bible is displayed in order to communicate the significance of God's Word. It also tells them: this is the place where the Word is proclaimed. The Bible can be placed in a book stand, so that it is presented to the students and they can see what type of book it is. Make sure the Bible you display is a nice, regal edition. Cloth should be of fine material, nice, and not wrinkled. Teach from your sacred space. As you proceed to various points in your catechesis, utilize any objects from your space that would help to illustrate or communicate that point. As far as I'm concerned, the Ecclesial Method is the way to do catechesis. If you pursue a Certification in Catechetics at FUS, this is the primary method you are instructed to use. That's how I learned it ... but you don't have to put yourself in thousands of dollars worth of debt to obtain the same knowledge. Anyone can use this method, once they know the principles. Below is an outline of the method as it is presented by Msgr. Francis D. Kelley in his book The Mystery We Proclaim: Catechesis for the Third Millennium. I have also supplemented his various points with instruction from my professors on this method and my own thoughts, informed by my personal experience using this method. With this outline, you should get the gist of it, but I highly recommend reading his book to round out your understanding. Foster exterior and interior silence. Help them move from the subjectivity of their own thoughts, feelings, experiences to the objective truth of Christ, and Him crucified. "There is something, or rather someone, greater than you who is calling you to die to yourself and so rise to new life with Him"
For more on this, see my blog post, "How to Create a Sacred Space"
Utilizing Gregorian chant and traditional Catholic hymns also helps to increase literacy of and appreciation for the great heritage of liturgical music that is every day being lost. Is the room set at a comfortable temperature? Is the seating comfortable … but not too comfortable? Is the seating arrangement conducive to listening and sharing? 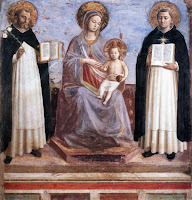 For a catechesis on marriage: "It takes three to get married"
For a catechesis on the priesthood: "The priest is not his own"
For a catechesis on the Blessed Mother: "Mary: Blessed by the fruit of her womb"
How can I adapt the Church’s teaching to my audience so that they are better able to receive it while at the same time being faithful to that doctrine? The goal of catechesis is not the memorization of facts – although that is important – but the conversion of hearts and minds to Jesus Christ. How is this conversion lived out in one’s day-to-day living? Is everything that God has done for us and revealed to us wonderful, or is it not? If it is, then we should rightly end every teaching by helping our audience to see the Good News in what they have learned, and to rejoice in it. Listen to a piece of music, or – God forbid! – sing a hymn together as a group! 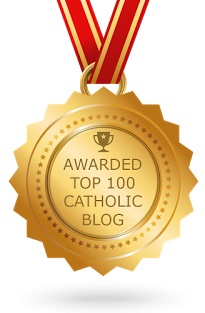 This method takes a little bit of work and prep time for the catechist. It requires creativity, thoughtfulness, and fidelity ... but it is not difficult. If it means reaching souls better and converting hearts and minds to Jesus Christ, then we should be all about that work. If this method is too much for you to take on all at once, then you may just spend a semester or even a whole year focusing on one of the five steps. "This year, I'm going to make sure I have an excellent Preparation step." Once you feel comfortable with one step, move on to the next one. Once you have gained experience using the method, you will find that you are able to move from step to step with great ease. Then, each year is just about improving. "What might I add to my sacred space for this teaching?" "This movie would be great for my Explanation step!" "How can I improve this Proclamation?" Keep your eyes open to anything you can use to supplement your teaching and make it better. And, of course, as you grow in holiness, your heart will become more open and docile to the promptings of the Holy Spirit. He will give you the wisdom and the courage to seize every catechetical moment. Pax Christi ... and good luck! What does the “IHS” stand for that one sometimes sees on the altar, or the priestly vestments, or the Eucharist? The letters “IHS” are iota, eta, and sigma, the first three letters of Jesus’ name in Greek. This symbol was used in the early Church, during times of persecution, as a code-word for the Holy Name. Various other interpretations arose out of the Middle Ages. For example, some said “IHS” stood for the Latin phrase Iesus Hominum Salvator, which means, “Jesus, Savior of Humanity,” or Iesus Hierosolyma Salvator, which means, “Jesus, Savior of Jerusalem,” or In Hoc Signo (Vinces), which means, “In this sign (you will conquer),” from the vision that Constantine saw before the battle at the Mulvian Bridge. Some have suggested the Greek phrase Iesus Hemeteros Soter, which means, “Jesus our Savior.” There are even some wacky anti-Catholics who think the “IHS” stands for the Egyptian Gods Isis, Horus, and Seb! But, all of these interpretations are incorrect. Who wrote the Nicene Creed that we say at Mass? The Nicene Creed, minus the statement about the Holy Spirit, was composed by the 318 bishops who attended the Council of Nicaea in 325 AD. It was meant to be a profession of faith against Arianism and the other heresies that were floating about regarding the two natures of Christ. Later on, at the Council of Constantinople in 381 AD, the statement about the Holy Spirit was added, giving the Creed the form in which we have it today. What is the role of a deacon in the Catholic Church? Deacons can also celebrate baptisms and perform the various pastoral works of the parish (for example, visiting the sick, bringing the Eucharist to the homebound, caring for the poor, pastoral counseling, etc.). Did St. Thomas Aquinas Deny the Immaculate Conception? In short, yes, but let’s not make more out of this than is really warranted. It is true that in his Summa Theologiae (Third Part, Question 27), Thomas denied that Mary was sanctified from original sin at the moment of her conception. He was wrestling with an apparent conflict: How can Jesus be said to be the Savior of all mankind, including Mary, if Mary had no sin to be saved from? The only way he knew how to resolve this issue was to say that Mary was sanctified not at the moment of her conception, but some time between when she was conceived in the womb of her mother and when she was born. A Franciscan, John Duns Scotus, was the one who finally resolved this question. He pointed out that there is more than one way to save mankind from sin. In every case but one, God saves a person from sin by pulling him out of the pit of sin once he has fallen in. But, in the singular case of Mary, God saved her in a different way, by preventing her from falling into the pit of sin in the first place. God is still her savior, just in a different and, according to Scotus, more excellent way. Thomas could not have known of this solution, seeing that he died four years after Scotus was born. But, that is okay. Thomas is the Church’s greatest scholar, but he is still only human. We must also remember that Thomas was only struggling with when Mary was sanctified, not if she was. He still held that Mary was freed from the stain of original sin and that she remained sinless her entire life. Some people take Thomas' denial of sanctification at the moment of conception to mean that he thought Mary was a sinner like the rest of us. But, this is a gross distortion of what Thomas believed. Ultimately, Thomas was simply doing what all theologians do with matters of the faith that have not been defined by the Church: He was wrestling with the implications of a belief, plumbing the depths of it, ironing out its finer details, seeing how the doctrine in question fits within the larger deposit of the faith. This type of theological work is how dogma develops, and it is a very natural and expected process, as the Holy Spirit leads the Church towards the full knowledge of the truth. Instead of being scandalized by Thomas’ words in the Summa, we should really be thankful for them. He contributed to the necessary work that brought the Church to a fuller understanding of Mary’s sinlessness. St. Thomas Aquinas, the “Angelic Doctor” … pray for us! 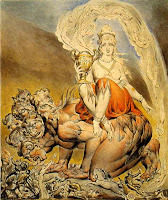 The Catholic Church Is NOT the "Whore of Babylon"
Persuaded recently by a Facebook group in which I am involved, I have done some research on the identity of the "Whore of Babylon" from the Book of Revelation. It is a popular theory among anti-Catholic Protestants to identify the Whore with the Catholic Church. What follows is evidence of much more plausible conclusions. I hope this collection will be of help to you in making up your own mind regarding the identity of this mysterious woman. Whether the Whore be Jerusalem or Rome, She is clearly not the Catholic Church. "The Whore of Babylon? ", by "Rosemarie"
17:1 - 19:10. This first section of the final scene begins with the depiction of the city of Rome (described as the great harlot, the great city, great Babylon), its punishment, and its connexion with the beast (the symbol of absolutist antichristian power personified by certain emperors: cf. 13:18). This takes up chapter 17. The vision then goes on to depict the fall of Rome as an accomplished fact, followed on the one hand by lamentation (cf. chap. 18) and on the other by hymns of praise sung by the righteous (cf. chap. 19). What is curious about the above is the strength of both interpretations. Some details seem to fit a description of Rome, while others are more clearly applicable to Jerusalem. This being the case, one might argue that these opposing views are not mutually exclusive but that both are legitimate in different ways. In our judgment, a stronger case can be made for Jerusalem as the city whose demise is apocalyptically presented in Revelation. But this does not mean that other readings of the book are thereby ruled out. Jerusalem was the first city to fit the description in Revelation, but it is by no means the only city. 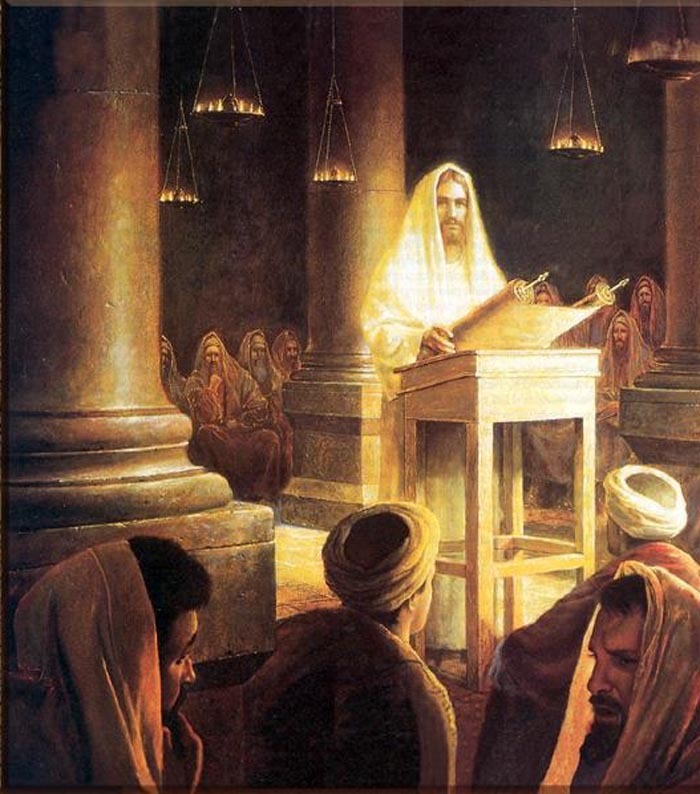 What was true of apostate Jerusalem -- that it became a center of godlessness, violence, and corruption to the point of defying God and shedding the blood of his servants -- holds true of countless cities down through the ages. History is clear that Rome stood next in line to carry on the legacy of Jerusalem by its ruthless persecution of Christianity, so Revelation's warnings of divine judgment apply to it as well. Indeed, Rome's blood guilt is very much part of the message of the book, even in its literal sense (e.g. 13:7). So even if John intended us to think first and foremost of Jerusalem, God's judgment serves as a warning to any and every city thereafter that would choose to turn against the Lord and his disciples.